Alma Lazarevska is a Bosnian prose writer. The attribute ‘Bosnian’ appeals to her most when it is used in conjunction with the word, ‘kilim’ or traditional woven rug. She has written a story with that title. She began to consider the date of her birth worth mentioning when she realised that it was the day when Robert ‘Bobby’ Fischer was born. One of the recurrent themes in her work is ‘the light and dark woman’ and she has played ironically with the idea of astrology in her novel The Sign of the Rose. However, out of respect for ‘the last great Yugoslav writer’, Danilo Kiš, and her exceptional liking for the books of the Swiss writer Nicolas Bouvier, she acknowledges belonging to the sign of the Fish. 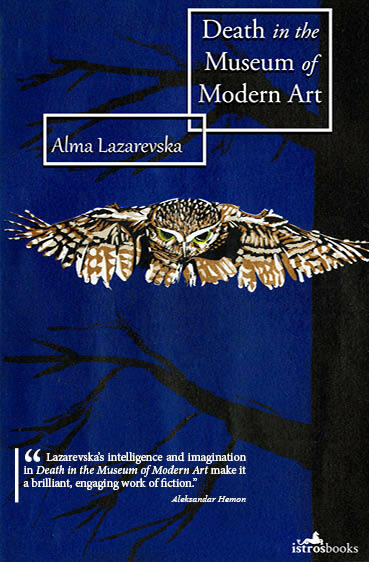 Lazarevska also recognises the year of her birth as the one in which the Nobel Prize for Literature was won by Albert Camus. She likes The Outsider because it is concise, precise and devoid of sentiment. And she likes it because of the title. She is used to the fact that the combination of her first and second name provokes questions: a Bosnian writer, but ‘Lazarevska’? How come? Her answer to that kind of question may be found in her text, entitled ‘The Origin of Silk’. It is only here that she mentions the town of her birth. She does not, regrettably, speak the language of the inhabitants of that town. Constant moving in the first eight years of her life accustomed her to a sense of impermanence and not belonging. Through her father (in his day one of the most important Yugoslav authorities on porcelain), she acquired an interest in the dividing line between chemistry and alchemy. This interest is built into the essence of her writing and her affinities as a reader. She lives in the town where her mother and her mother’s forebears were born, in the town where her brother and her son were born. It was here that she was educated. Given the choice between studying regional and comparative literature, she chose the second without hesitation. The town where she lives is mentioned in the title of a collection of her essays, Sarajevo Solitaire. It is mentioned also in the novel The Sign of the Rose, a novel that has recently been translated into French and German. The stimulus for the novel was the murder of Rosa Luxemburg, or rather the fact that Lazarevska began to experience this theme as almost obsessive during the siege of her city. Her books Death in the Museum of Modern Art (translated into French and German.. and now – English!) and Plants are Something Else (the title story has recently been included in the most recent edition of the literary magazine Wasafiri) deal with siege, and a ‘besieged city’, without naming it. They are written in the first person, for dramaturgical and stylistic, rather than confessional reasons. That this is the case is confirmed by the fact that several stories are written in the male first person voice. The author leaves it up to the reader to recognise Sarajevo in ‘the besieged city’. If asked, she will confirm that she lived in Sarajevo during the siege. Every single day and every single night. But she refuses to be a loudspeaker. Her stories are always intimate stories. She likes Nabokov and his distinction between ‘average reality’ and ‘true reality’. 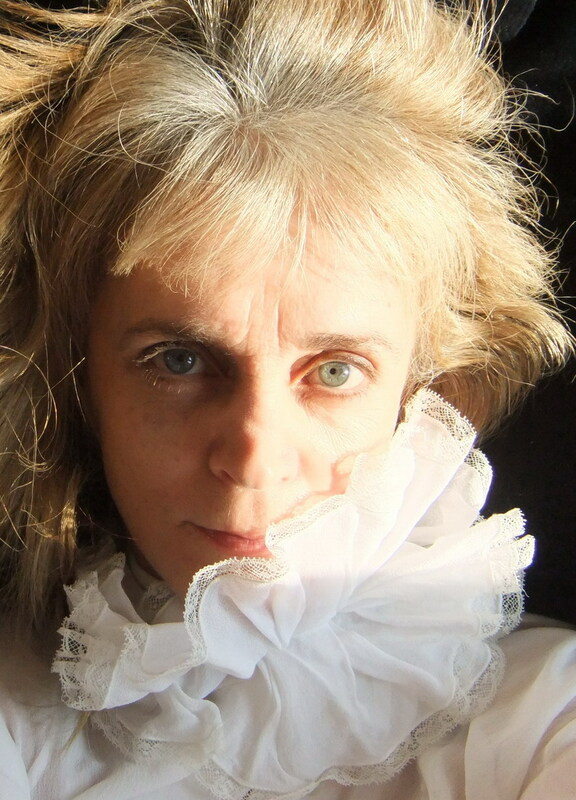 In her writing, Lazarevska pursues the latter. Her story ‘How we killed the sailor’, translated by Celia Hawkesworth, is included in an anthology of women writers from East and Central Europe. Lazarevska feels honoured that her work has come to speak in the language of authors whom she appropriates as ‘her own’. One of the fundamental threads of her reading runs from Charles Dickens to Virginia Woolf and beyond. Her graduation essay, which she wrote in the department of theatre studies, is concerned with four of Shakespeare’s plays (Cymbeline, Pericles, The Winter’s Tale and The Tempest). Her biography is inconceivable without mention of the books that she has read and continues to read. Books are frequently mentioned in her writing. She has a large library and particularly likes books that fit into the pocket. She likes substantial books, or novels, if they are written by Tolstoy, Dostoevsky, Mann, Hamsun, Broch … but she is suspicious of recently published long novels. Experience has taught her that after reading such books she regrets the wear and tear on her eyes. She is honoured by the fact that her book – Death in the Museum of Modern Art – has been translated by Celia Hawkesworth, who has translated the Nobel laureate, Ivo Andrić, a writer whom Lazarevska considers an unsurpassed teacher of language and style. She experiences Andrić’s language as her own, although because of regional divisions it is inevitably called by different names Andrić’s language is called Serbian. Lazarevska’s is called Bosnian. The language of the poet Ivan Goran Kovačić, whose tragic life inspired Alma’s recently published story ‘Letter from 1938’ is called Croatian. This language Lazarevska also considers her own. Lazarevska keeps in a small corner of her biography the fact that she attended the oldest grammar school (gymnasium) in Sarajevo and Bosnia, which was attended also by Andrić. Andrić ‘failed’ mathematics. Lazarevska had top marks in mathematics, and even won school contests. But she would renounce all those top marks and prizes for the beauty of Andrić’s sentences. When she wishes to believe in language as perfection, she reads The Damned Yard. After such séances, she always thinks: it is a great achievement to be at least a pawn in the literature in which Andrić is king. Cecilia Stefanescu is one of Romania’s leading authors; part of a new generation of writers who grew up under the old regime but have gone on to write and flourish in a new literary culture. She made her debut with the novel Love Sick, which has been published in two editions in Romania and translated into French (Éditions Phébus, 2006). Love Sick was also been made into a film, directed by Tudor Giurgiu, which has been shown at the Berlin Film Festival, Karlovy Vary, Chicago, and in more than twenty countries. In 2005, alongside eleven other Romanian writers, she took part in the annual Les Belles étrangères event, organised by the Centre National du Livre and the French Ministry of Culture, which was dedicated to Romania that year. She contributes monthly editorials to the Romanian-language edition of Elle magazine and writes for the weekly Romanian-language edition of Le Monde Diplomatique. ‘Sun Alley‘ is her second novel, and was published in April this year by Istros Books, in a lovely translation by Alexandra Coliban. The novel is a tender mix of childhood first love and the more seedy world of grown-up adultery, seen though the eyes of a twelve-year-old boy with prophetic powers. Set in a Bucharest which belongs more to Eliade that it does to Ceausescu, it seduces and beguiles the reader beautifully, so that only at the end does one understand (or believes one understands), ‘the whole story’. If I understand correctly her first novel Love Sick also took love as a main theme? Can you tell me a bit about Love Sick and how important writing about love is for you? Writing about love is as important as writing about myself, about my fears and expectations. I think all of us, at some levels, lead our lives wondering what our purpose is and fearing about our end. We need to be loved and fear we might not be. In Love Sick, I wanted to depict the world through the eyes of a young woman who fell in love, accidentally with another woman, and distorted her reality in order for her to be happy. I spoke about the post-Ceauşescu era, about the Romanian 90s, a controversial and very difficult period of recent Romanian history. But, it’s true, I don’t touch real historical subjects, I talk about that historical period through a personal experience. I think that’s the only way you can speak about collective events. Why did you decide to write about love in two novels? When talking about Romania the first thing that comes to mind is Nicolae Ceaușescu’s regime. For a reader it might be somewhat liberating that this is not straightforward political book, or a book that comments on the former regime and the politics of Romania. Was it a deliberate move for you to move away from that historical baggage? I carry this historical baggage within me, and unfortunately it exists in the basement of my book even if you say you didn’t see it, which I think is a good thing. But I wanted to write only about me and what’s in my head, because it’s the only honest thing to do. I will answer your other question too, about how I see my own fiction. I see it as a work of archaeology, a work of research. I use a flashlight and, illuminate parts of my brain, while leaving other parts in the shadow. By doing this, I perpetually discover something else about myself. I think a book is not an answer but rather an experience in itself. A journey in the brain and the mind of a person who dares expose themselves. In this case, I am that person. Can you give us a potted self-portrait of yourself as a writer? In my ignorance, I did not know that Rozewicz is Poland’s most celebrated living author, a Nobel prize nominee and considered by many as “one of the great European poets of the 20th century. Despite my dedication to literature in translation, I also find myself a victim of my own specialization – with Poland not included in my chosen area of S E Europe. Luckily, Stork Press have started to remedy that, with their English-language publications of Rozewicz and other neglected Polish writers. The shadows of the Holocaust still lie heavily over us, nearly 70 years on, especially in the world of literature. 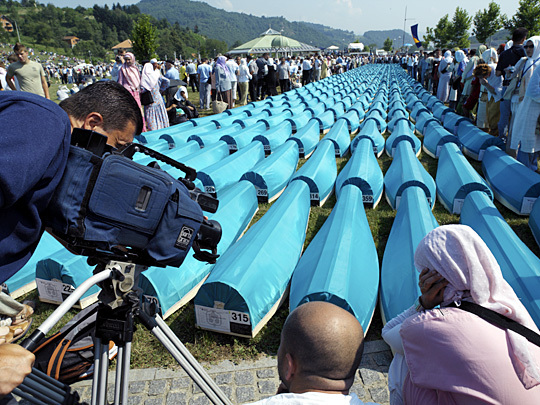 But my personal experience with the horrors of war came in the 1990s, when I was working with refugees from war in Bosnia, many of them from soon-to-be sites of atrocities, like Srebrenica and Sarajevo. And so, for me, the question becomes whether it is possible for anything beautiful and pure – in the literary sense – can come out of Bosnia? And so it is with such pride and relief that I can be involved in translating and publishing Bosnian writers like Selvedin Avdić , who evokes the horror of mass murders and unsolved disappearances not with blood and gore, but with the shifty workings of paranormal activities in his disturbing book, Seven Terrors; and Alma Lazarevska, whose tender and revealing set of stories – Death in the Museum of Modern Art, avoid the easy traps of politics and blame in order to reveal a world full of incidents and worries so similar to our own, and yet always under the shadow of the snipers and the bombs which we know are out there and who occasionally impinge on the story in shocking ways. The human desire to understand terror, to probe the minds of the victims and the perpetrators and – perhaps more importantly – to allow the mind to convert the horrors of historical events into the stuff of memory, is an essential one in the process of living, and indeed forgiving. The process of writing down – recording, shading and refining – itself being a kind of therapy, a way to allow one part of the brain to process the experience and allow it a proper place in our recollection and understanding. It seems, therefore, that far from being a betrayal of our humanity (as indicated in Adorno’s quote), it is an imperative action; indeed, an affirmative action by the soul in desperation to save itself. Without poetry, without prose, we are dumb animals at the gates of the abattoir. It’s funny, but I have a sneaky feeling that since I left Zagreb, it has become the most interesting and edgy city in South East Europe! Last week saw the likes of Oliver Stone and Slavoj Zizek, discussing such topics as the European Left, Love and Democracy at the Subversive Film Festival, while next week sees the start of the 10th annual Festival of the European Short Story. 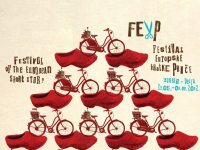 The festival will be held from 29 May to 3 June in the present capital city of Zagreb and the once-capital Baroque town of Varaždin, bringing together dozens of writers from Croatia and abroad. Highlights at this eclectic and truly European festival include a workshop on The Golden Age of Visual Storytelling which looks at the history of comics and graphic novel and a Short Introduction to the Contemporary Welsh Short Story. A cracking tale, a superbly crafted sentence, or an exquisitely expressed idea: the temptation to share these treats is too great to resist. Translating favourite books was the natural progression for me. I have learned a good deal along the way, and had a lot of fun too. A skilful literary translator must be thoroughly immersed in both cultures, be able to distinguish between nil and love and zero, develop a great working relationship with her author, and use her common sense on when to bend the rules. 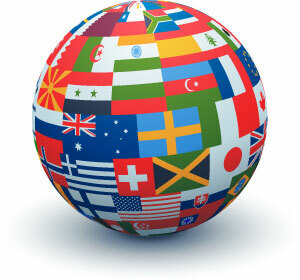 Some of the challenges in translating literature are common to all. How much to localise, for one: Elysian Fields (surely not!) or leave Champs-Elysées alone? Yet when Maureen Freely anglicises a street name into the Chickens Can’t Fly Alley in Istanbul: Memories of a City (Orhan Pamuk, p189), it fits like a silk glove. Production tools often frustrate more than they assist: the most commonly used word processing programme refuses to accept that one document may contain words from a second, equally valid language. But other challenges are more specific. Turkish, a member of the Altaic-Turkic family, lacks common roots with western European languages. As an agglutinative language, it yields up to 30% more words -of fewer syllables- when translated into English, which impacts upon the rhythm and melody. Feyza Howell has translated a number of titles including Waste by Hakan Günday, and edited The Aziz Bey Incident by Ayfer Tunç. She is currently working on a number of Ahmet Ümit novels. 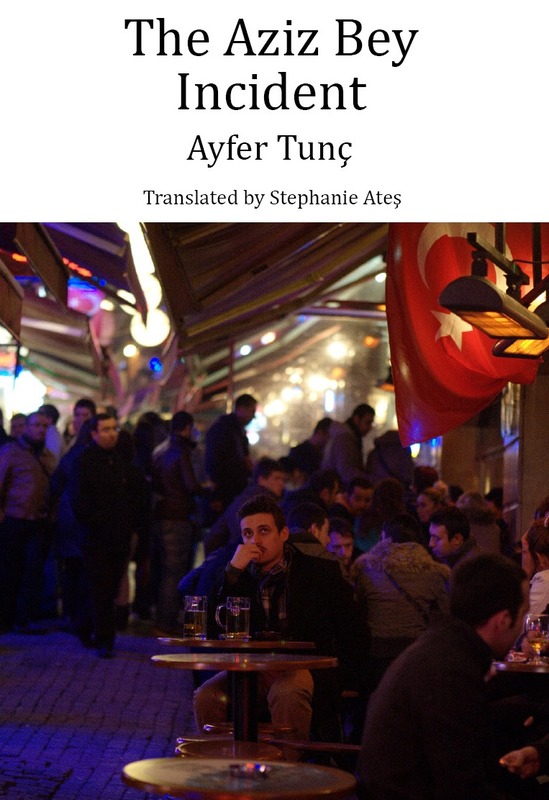 Her translation of Madame Atatürk by İpek Çalışlar is due for publication by Saqi in the autumn. It’s a joy for both Canada and Croatia – Novakovic’s adopted country of residence and his homeland – a double celebration on both sides of the Atlantic. Josip Novakovic is well-known in North America for his books for his novels and short-story collections, and especially for his two books on creative writing: Writing Fiction Step by Step and Fiction Writer’s Workshop. However, his renown had not generally spread to the UK until the award short-list was announced a few days ago. As far as Croatia is concerned, this couldn’t have come at a better time, with the celebration of Croatia’s summer entry into the European Union this summer, and the accompanying Welcome Croatia Festival here in Britain. The Man Booker international prize is open to all writers and recognises their career achievements. Worth £60,000, the award recognizes the world’s finest modern literature. It highlights a writer’s continued creativity, development and overall contribution to fiction on the world stage. The 2013 prize will be the fifth time it has been awarded, and there are 9 other candidates apart from Novakovic, from all across the globe. This year’s judging panel for the Man Booker International Prize 2013 consists of the scholar and literary critic, Sir Christopher Ricks (Chair); author and essayist, Elif Batuman; writer and broadcaster, Aminatta Forna; novelist, Yiyun Li and author and academic, Tim Parks. Keep your ears open to hear the results on May 22nd, and if you haven’t got another favourite, then keep your fingers crossed for Croatia and Novakovic!